As if his brutal scourging on the part of the Roman soldiers were not enough, Jesus was taken as a neurotic fool who claims to be a king. He was mockingly donned with a purple robe and was shamelessly struck on the face as if he had done something to merit their ferocity and cruelty. They fabricated a crown-helmet perhaps using the flexible stems of a plant called Poterium spinosum or another plant, the tree—the Zizyphus spina Christi: both have very long thorns, much longer than those of acacia. The Shroud of Turin shows 33 wounds in Our Lord’s scalp, which doctors well know, bleed profusely, around 330 ml or 10-12% of the total human blood volume, apart from the blood he lost in the hematohidrosis and the scourging. 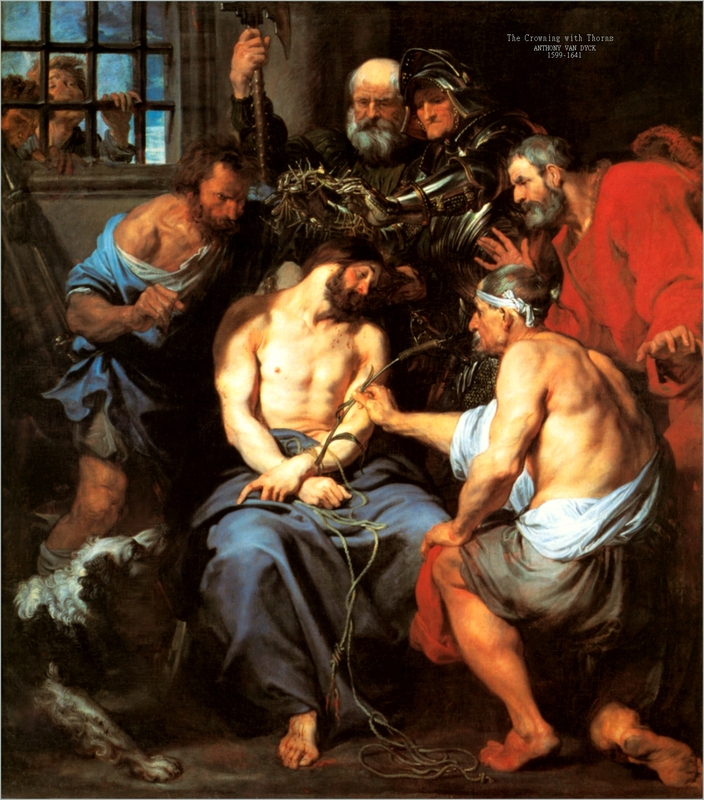 After being crowned, the Gospels record how the soldiers hammered the crown-helmet into Our Lord’s head so that it would fit snugly and continued to receive blows to the head, actions which would have driven these thorns deeply into the highly vascularized scalp and forehead thereby producing excessive bleeding. Each blow would have caused Our Lord a painful silent scream and a shudder towards his curved spine. The comedy…parody of the adoration has begun: soldiers kneeling before Jesus…more blows, spits on his face, bruises, insults…when will they stop? 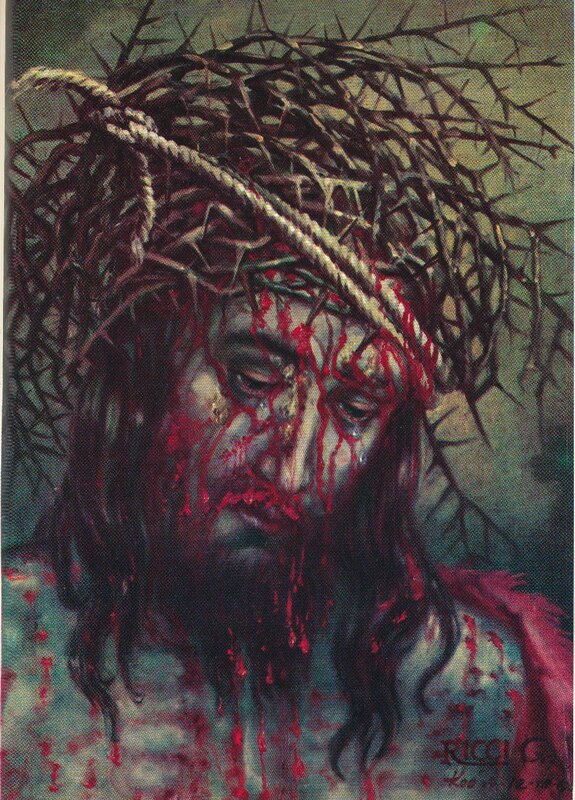 Despised and humiliated, he was presented to the infuriated people by Pilate: “Ecce homo” Behold, the man! Pilate was trying to pacify the wrath of the multitude by showing them that Jesus had suffered sufficiently and reiterated that he found no crime in him with the implicit intention to let him go. 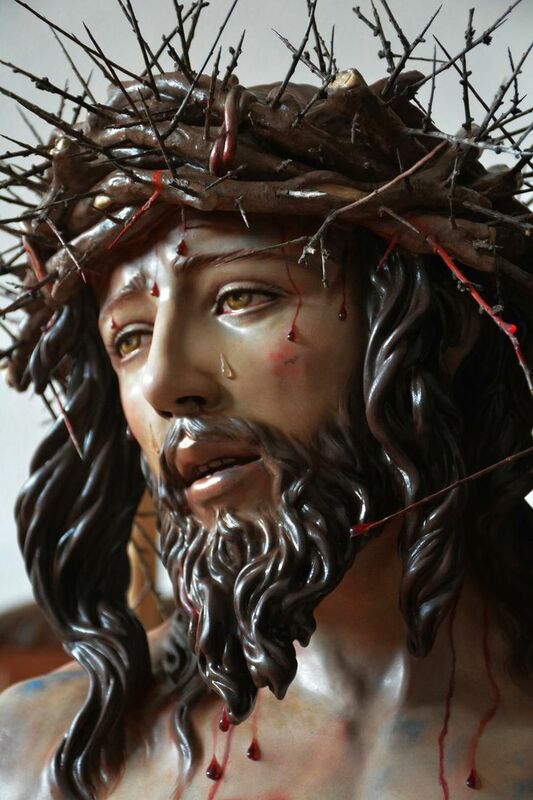 “His ignominy has blotted out ours, his bonds have set us free, his crown of thorns has won for us the crown of the Kingdom, his wounds have cured us” (St. Jerome, Comm. in Marcum, in loc.). Cordially inviting you to like and follow in www.facebook.com/CatholicsstrivingforHoliness and share our posts in order to help more in their Catholic faith and life. Thanks! Fr. Rolly Arjonillo.